Lily Li, Adjunct Professor of Humanities and Affiliated Faculty of Asian Studies, presented“A New Reading of Ha Jin’s Novel Waiting: Domestic Life as Allegory of Migration” at the Annual Meeting of the Western Conference of the Association for Asian Studies (on the theme “Asian Civilizations and Communities: Frontiers – Borders – Landscapes”) on October 9-10, 2015 in Salt Lake City, UT. 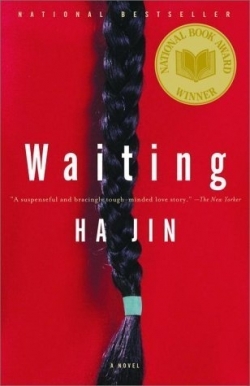 The abstract of her paper is as follows: Ha Jin's Waiting (1999) has been read as a work of social, psychological, and political realism, as a philosophical/ existential novel, or as a political parable. I contend that Ha Jin’s new dual identity in culture and language formed during the dynamics of cross-cultural experience is central to understanding his work, and that the novel Waiting can be read as an allegory for the migrant experience. Jin employs the metaphors of marriage and divorce to portray a complex and unresolved immigrant mind, familiar tropes used by many migrant writers in various ways to delineate the relationships with their country of resettlement and country of origin.The protagonist’s conflicted feelings for his wife and his lover and his being torn between two homes—the old and the new—dramatize the migrant’s dilemma of choice between two countries.The same correspondence of woman and country is also found in Jin’s earlier poems and later novels. In Waiting, however, it constitutes a fully developed theme.